Young Duck Wrangler Arden McWharter successfully cheering her duck to victory at the Races. Photo Courtesy of the Deming Headlight Newspaper and Bill Armendariz, Editor. Another first for our local FASF Volunteers. 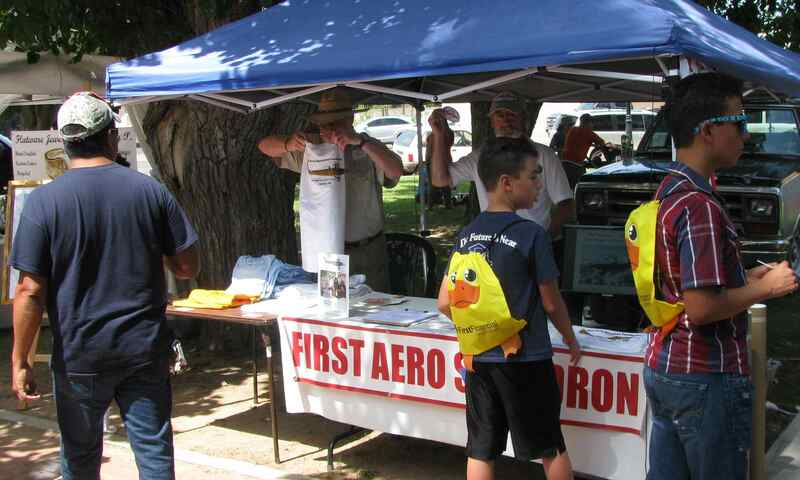 Your FASF team took this past weekend off to try something new: A Public Education Booth at the 36th Great American Duck Races in Deming, NM. Principal volunteers for this long day of promoting the Foundation were: VP Roy Mantei, members Doc Edwards, July McClure and Ric Lambart. 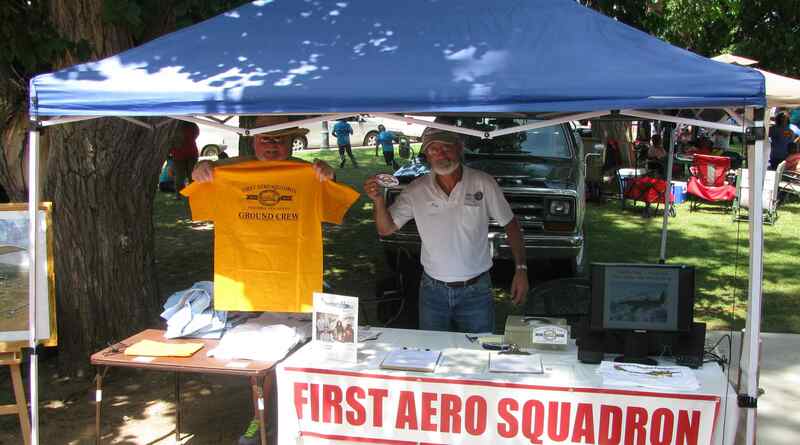 A number of new members were successfully recruited and our new T-Shirts were one of our more popular sale items. Many Race goers hadn’t heard of the Foundation, but many others had read about us in the Deming Headlight newspaper. Even the Headlight’s Editor, Bill Armendariz stopped by to say hello. 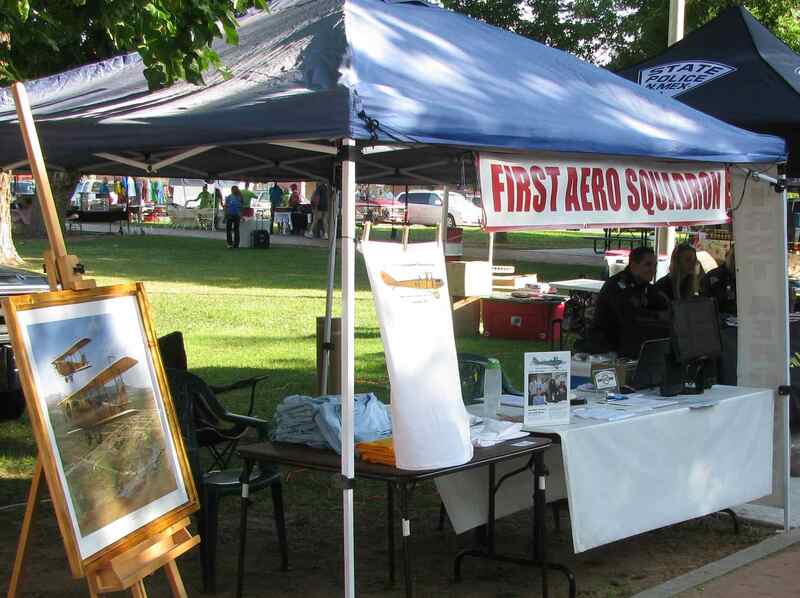 While your volunteers were too busy manning the booth to get around and enjoy the actual races, they did have fun meeting the many event enthusiasts who stopped to inquire about the FASF and its historic mission. 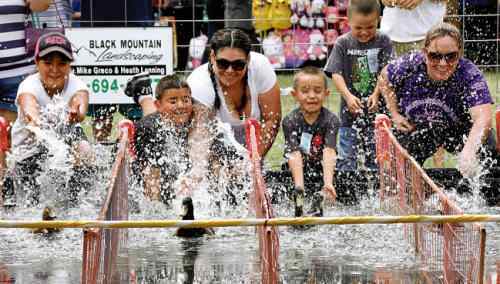 While not all the excited contestant “Duck Wranglers” finished in victory lane, it was obvious from these Headlight Photos (above) that they all had lots of fun at the annual event held in Central Deming, New Mexico, each year. Up bright and early to set up the FASF’s Duck Race Booth, VP Roy Mantei called on his tent raising skills to meet the event’s exhibitor challenges. Tent, tables and sale items were all in place at the opening bell first thing in the morning. Doc Edwards (at left holding shirt in the above photo) was our official – and successful – T-Shirt Salesman and is here seen folding another of the new T-Shirts, which came to us as the result of VP Roy Mantei’s acquisition efforts. 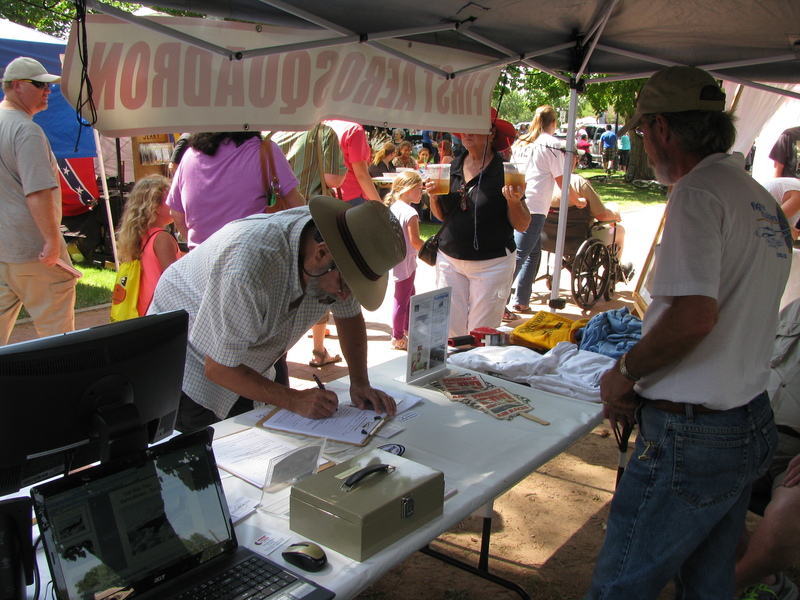 Roy Mantei kept busy selling local Race goers on the advantages of joining the FASF, as captured in the photo above. 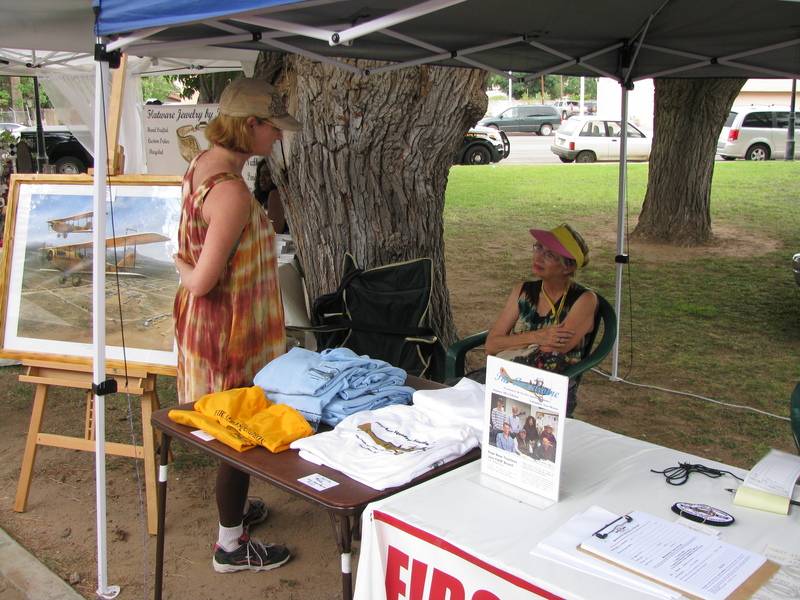 Our Aerodrome Editor-in-Chief, July McClure also signed up once again as one of our loyal Exhibition Booth volunteers. Above she is seen spreading the good word with Amy Black who hails from Columbus, New Mexico. Doc Edwards, at left above, and VP Roy Mantei at the right, show off some of the items they sold to raise funds for the FASF. When all was said and done, the event proved even more successful than we had hoped. The FASF now has more in its bank account – – – and more members to help us carry the torch forward into our coming Centennial year. This entry was posted in HOT NEWS! on August 25, 2015 by FASFRIC.